﻿ Mike Dicks: Coffee Table Docs are here! You are at:Home»Production»Mike Dicks: Coffee Table Docs are here! A new tablet format is emerging, the Coffee Table Doc, that might go some way to bringing interactivity and increased revenues together on tablet devices. Two recent surveys tell us that more and more people own a tablet device and they are increasingly using them to watch long-form video. According to Mary Meeker’s Internet Trends report 29% of US adults now own a tablet or e-reader, up from only 2% in 2009, and a recent study by Ooyala – the on-demand video company – tells us that tablet and mobile video viewing increased by an impressive 90% in the last 6 months. So far, so good for us producers. But if the supposed ‘second screen’ is rapidly becoming many peoples ‘first screen’ should we be exploring new ways to capture the imagination and attention of our viewers? For the last 10-15 years, broadcasters and producers have experimented with new media content surrounding their TV shows. For a while, producing a supporting or integrated website for a series was regarded as essential, with landmark projects like Britain from Above from the BBC, or Die Deutschen from ZDF providing a benchmark for how documentary should be done interactively. These award-winning projects seemed to provide a way to extend television content on the web in a way that TV alone could never do – providing rich, interactive, on-demand experiences for the audience and important learning resources that outlived the original show. In recent years though, TV has tended to concentrate more on distributing video online, mainly because we discovered that awards don’t pay the bills – and as with most of the web, it proved difficult to monetise, and therefore justify the investment in, this new kind of content. So, is digital now sorted? Do we simply open up our video archives and sit back and enjoy the profits from the revenues generated by on-demand-video on iPads and Kindles? Well no, it’s not as easy as that. Online video is really only starting to plug the hole that DVD revenue has been escaping through for the last few years. With companies like Netflix, Hulu, Amazon and now even YouTube competing to deliver long-form video to tablet viewers, the price of video is getting lower — settling at around €2.30 per film these days — and the competition for eyeballs is becoming fierce. Enter: the Coffee Table Doc, a merging of long form video, additional content and interactivity that provides the viewer with a much deeper experience of your story at a price that makes the investment seem worthwhile. Why Coffee Table Docs? Because they remind me of the glossy coffee table books that broadcasters and producers create to support the latest BBC natural history or science documentary series. Not only that, but they are selling in app stores for much more than can be charged for a one-off doc, in the region of €6 to €12. As with most digital content it’s best to experience these things, so I suggest you flex your credit card (in some cases) and take a look at these two stand-out examples. This Ruaridh Arrow production is worth watching with or without the additional features. The film profiles the work of Gene Sharp, an academic who has studied and written about non-violent struggle, influencing many of the recent revolutions throughout the world. In Coffee Table Doc form, the viewer is able to see additional films, download and read Gene Sharp’s papers and even monitor Twitter to try and spot where the next revolution might be developing. The app was created by The Project Factory, an Australian/UK based digital producer (and MIP regular) specialised in working with broadcasters and producers to create online and mobile extensions to their shows. The app launched in iTunes last month at €6.99, and it will be interesting to see how it does. Another film that is worth watching on its own is Money and Speed. 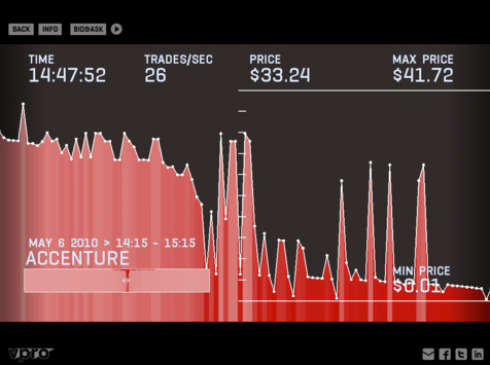 This VPRO Backlight and Catalogtree production uses film and data visualisation to recreate the fastest and deepest stock market plunge ever, that took place in 2010. The Coffee Table Doc lets you explore the data, maps and additional content in such a natural way it feels like they are reading your mind. The really smart thing in this project is how Catalogtrees’ data visualisation is used in both the film and the app. Having been free in the app store for some time, the app is now €0.85 – woefully cheap for such an excellent piece of work. Coffee Table Docs seem to combine the experience of watching a great film with the best features of a supporting website in one location, on the tablet device in the viewer’s lap. As there are so few, it’s not possible to predict whether they will become a valuable revenue source, but with the increasingly large ownership of tablets and the trends in the way people are using them the prospects seem good. 1. Start developing your projects to include a Coffee Table Doc, collecting additional content, documents and data to compile during the production, not for a give-away website, but to include in an enhanced version of your film. 2. Take a look at your catalogue and the websites you built or had built to support them and consider re-purposing as a CTD. 3. Find a suitable digital partner, who can build the app for you, and work with them as you would a publisher. 4. Keep the price at Publisher levels, and see if they make money. This is the first in a series of posts on how TV producers can make the most out of digital, by production consultant Mike Dicks, of Descience. Dicks was formerly head of digital for UK independent producers’ association Pact. You can follow him on Twitter here.